What great Ideas. I recently moved from a 1200 sq ft home to one slightly over 600 sq ft. Needless to stay I need all the organizational tips I can get my hands on. I am new to all this and I hope I am posting my comment in the right place! I saw your video on YouTube! I followed your link to this blog! I am getting ready to move to a small apartment and found your pantry organizing ideas worth trying! Thank you for sharing!!!!! Like your organized pantry. Hope to win, if not still going to use your method of organizing. Thanks! Have a great and blessed day. I liked your video on you tube. I’d like to enter your giveaway. I am a new subscriber and I just signed up for your blog! Keep up the good work! I had no idea you had a blog! I’m so excited to go through this! You know I follow you every where else! Thanks for doing a giveaway! I’ve noticed that our Dollar Tree stores vary WIDELY with what they carry. I’m still looking for my holy grail store here! I love your videos online and the idea you have of using the soda can organizers! I definitely have been looking for them at my stores and they never have them. I have been looking for these pop organizers ever since I saw them used in your YouTube video! I have been a subbie to your YouTube channel and I am following you now on your blog. I just love these soda can buns. Please enter me in your give- away. Thank you so much for hosting it. I still need to check out the Dollar Tree in the smaller town near me to see if they have all of the wonderful things this store has. I subscribed to your blog and have been a subscriber to your YT channel. Can’t wait to see what you have coming up next! Hi! I am new to your channel! Jaimessimplelife sent me and I would love to win the giveaway! Enter me please. I love all you thrift/yard sale hauls and now organizing! Awesome!! I love organization it is a gift I have ! So I would love to win any type of organization for my home. Thank you for sharing as I have not seen these at my Dollar Tree. Love your DIY’s! Oh my word!! My DT doesn’t have the great acrylic containers OR the awesome soda can holders 😠 I have gone to 4 and haven’t had any luck!! I recently got a new fridge and have been looking for the soda can holders a every DT I come near to use to organize it. You did a great job on your pantry!! I’ve been following you on YouTube for awhile, but am new to this blog. I love your videos! I get lots of good thrifting ideas. Love this. I’ve never seen the soda can organizers before. Thank you for the chance to enter. Love your blog and YouTube channel. Oh, I’ve been looking for these and can’t find them at any of the three Dollar Trees near me. What a fun giveaway to enter. I have been on the hunt for these organizers, no luck yet. How did I not know you had a blog? Love your thrift hauls. You let people know that they can decorate their home on a tight budget and how awesome it is to find those things by thrifting. The bins I’ve never seen in my $ tree and would help my little pantry. And in the bathroom and craftroom. Thank you for all you do. Love these ideas! Recently found your channel and have been loving it 😆 Thanks for sharing! Loved this idea and the organizers!! Thanks. Such a great idea! Thank you for sharing!! Wow love your ideas. I would love to win but I think you might have inspired me to visit my local Dollar Tree. What a great use of the can holders! Like you, we use a few cabinets in our kitchen as a pantry, and these would go a long way in helping us get things organized. Love watching your YouTube videos and excited to now be subscribed to your blog as well! I am glad to see that you decided to give these organizers away, our local store does not carry them either. Thanks for all the great thrifting videos, you older sister is so funny. I did not know you had a blog! I watch you on Youtube 🙂 I LOVE the Dollar Tree. I used to live really close to one, but now I live more than 20 miles away 😦 I hope I can get to one soon! I must find these for organizing! Thanks for doing a giveaway! Your video is very helpful, and I’d love to organize my fridge and pantry this way! Recently moved into our first house and looking forward to organizing our pantry! I love your YT vids and am excited to follow the blog. Those soda can organizers are amazing. Thanks for the opportunity. Great ideas! I’m still looking for these products at several of my local Dollar Trees. I’m loving all your videos! 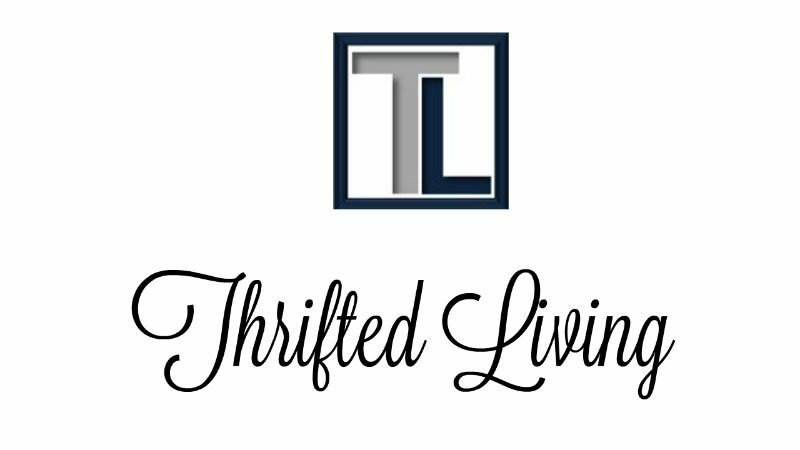 I think I’ve done two nights of thriftedliving marathons! You n your sister are funny!! Awesome giveaway! I was searching for this in my dt.. Couldn’t find it.. Thanks for this opportunity!! love the ideas!!!! I too can never get a lot of the products I see in videos online!!! thanks! Love your videos!!! I’m always excited see your new videos and can’t help myself rewatching everything. Just recently found your channel in YouTube but like it so far. Will limitó win the giveaway. Continue your good work. I’m a kindergarten teacher, and a fellow thrift shopper who lives in Jackson, MS. I love, Love, LOVE your channel! My favorite video is the one where you and your mom went thrifting together. Y’all are sooooooo ADORABLE! I’m totally addicted! Thank you for sharing your amazing tips on thrifting and your classroom. You have no idea how much you have made a difference. Love all your blogs and cute ideas!!!! Lovr all your videos! You and your husband are great together at those thrifting. You two are awesome! Always looking forward to your videos! I just saw this and I need to find these. Our pantry overflows into bags in our hallway (don’t ask!). I just found your YouTube because I’ve been on a mission to organize my house and I love love loved your pantry organization idea I have the same struggle of the little dollar true with none of the items that most people post about but I loved how these were clear so you could see what you have but they also can be used for multiple different things! I am officially subscribed to your YouTube (barrowe100) and I’m definitely going to subscribe here as well because I am on an organization rampage lol hope you have a beautiful day!